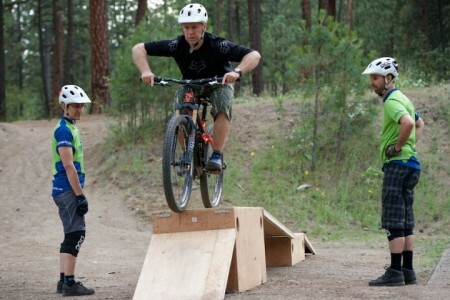 In MTB Foundations Level 2, we add cornering, a variety of wheel lifts, negotiating obstacles, line selection, switchbacks and rolldowns to the skills learned in MTB Foundations Level 1. Each skill is discussed, demonstrated and then practiced with the instructors. Throughout the class, we’ll take to the trail for real-world practice of the skill. For Ages 18 and Up. It is highly recommended that MTB Foundations Level 1 and MTB Foundations Level 2 are taken together.